TheNextWomen is a network for female founders, investors and professionals. More than 100 startups from all over the world applied for their Pitch Competition, and EHealth Technical Solutions was one of the companies selected to present their pitch in Amsterdam. Only 20 companies had been selected to the quarterfinals in Amsterdan, being eHTS the only Spanish company. And 10 of them had been selected to the European semifinals in Amsterdam, WIVI was one of them. The semifinal and final will take place the 4th October 2018. 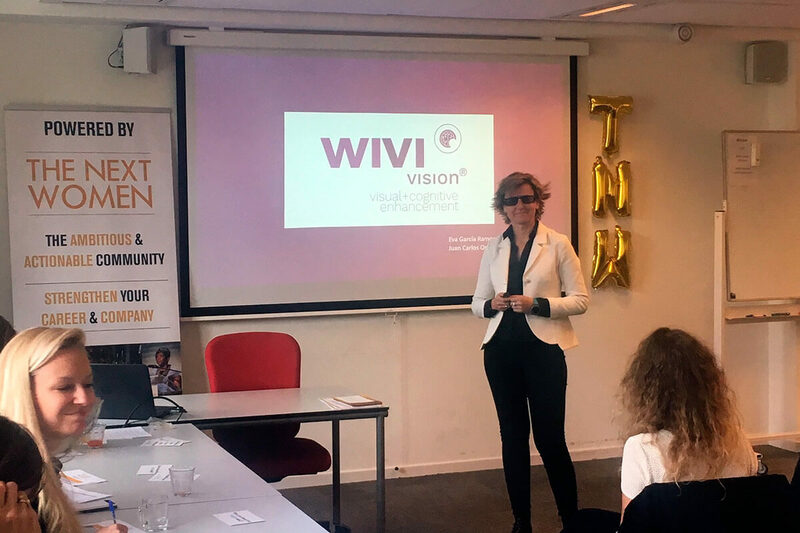 Eva García Ramos, co-founder and CEO of eHTS, presented WIVI Vision at the competition last June 21st. This innovative product has already earned recognition from international companies and healthcare professionals, as it is a disruptive solution for the visual healthcare sector. The pitch was meant to take no longer than 3 minutes, followed by a 3-minute question round by the jury, which for the company was valuable feedback. The founders of WIVI Vision want to thank the participants for the interest shown during the pitch, as they believe it is a solution that generated big expectations. Next Post What is the difference between opticians, optometrists and ophthalmologists?